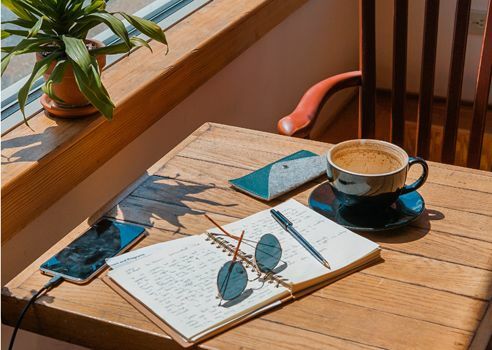 A research diary can take a number of different forms, but it will help you declare your opinions about your research AND allow you to stay connected with the writing process…. After reading The Diary of Anne Frank, at about the age of 11, I started keeping a diary. About three months later, my parents found it, read it (!) and chastised me for my uncharitable thoughts about my younger siblings. (I felt like chastising them for having the nerve to invade my privacy.) After that, I decided it was safer to stop keeping a diary. Still, there are times when keeping a diary makes indisputable sense. One such time is when you need to do a large amount of research, whether for a book, a report, a thesis or a dissertation. This effort is called a research diary. A research diary will require you to declare your opinions about what you are reading, and not just note the facts. Keep in mind that the world doesn’t need many more facts these days. We are already drowning in them. Instead, we need intelligent and thoughtful interpretations of facts. We need facts placed into context. These statements are especially true if you are working on a thesis or dissertation. Academic writing is essentially a series of conversations. And if you want your contribution to that conversation to be both useful and compelling, you need to offer more than facts; you need to share your opinion. While you are researching, you will likely be tempted to do nothing more than collect facts and citations. This diary — which is meant to record your opinions — will act as a counterweight to that natural tendency. A research diary will allow you to maintain your writing habit even while you are busy researching. It’s always dangerous to allow your writing habit to fall by the wayside. Imagine you’re an athlete who suddenly stops training. Or a musician, who suddenly stops practicing. When you return to the task — whether it’s athletic, musical or related to writing — you’ll have to make up for all the practice you’ve lost, which will be time-consuming. Don’t allow this to happen to you! A research diary will allow you to maintain your writing habit in a low-risk way. What should go into your research diary? Your diary should include a description of what you’ve done each day—the people you met and what they said, books or papers that you read, lectures or conferences that you attended, notes from discussions or conversations, and ideas you want to remember to follow up. But, even more important, it should also include your personal views and opinions of all that you have learned and your analysis of any problems you’ve noticed. Questions, hunches, thoughts and plans for future actions also belong in this free-flowing document. Finally, make a diary entry even if you do nothing else that day. It will help keep you connected with your project and maintain your motivation. Keep in mind that the diary is PERSONAL and PRIVATE so you are free to be as frank and intemperate as you wish. My experience with my own parents notwithstanding, a diary is not the place to hold back or be circumspect. It’s a place to express your honest and unvarnished thoughts. You may wonder how or where to keep such a diary. Your answer to this question depends on your own tastes and habits. I always prefer using electronic records, mainly because my own handwriting makes me look like an arthritic 93-year-old. (I also like using Evernote or Google docs because both of these systems allow me access to my notes from any computer, wherever I happen to be.) But if you have a Moleskin notebook that you especially love, or if you just prefer the printed page, then go for it! Just be sure to lay out the diary clearly so you have the space to add more comments later. But while you should commit to writing every day, you don’t need to set an arbitrary length. Some days’ entries will be shorter and others will be longer and that’s perfectly okay. You might also consider producing an end-of-week or end-of-month summary. This will help you stay better organized and will further refine your evaluative skills. A diary is a place where you record events, experiences and personal reflections that interest you. It should be fun and easy to keep and entirely safe. Use this technique as a way to maintain your writing habit even while you are researching — it will pay you back a thousandfold. Thursday is the application deadline for my Get It Done program, starting November 1. If you want some accountability for your own writing — whether it’s for a blog, a book, a thesis or a dissertation — you should consider participating. New members are welcomed on the first day of every month. Application deadline is midnight Oct 25/18. More info. My video podcast last week described the steps you can take to keep your book confidential. Or, see the transcript, and consider subscribing to my YouTube channel. If you have a question about writing you’d like me to address, be sure to send it to me by email, Twitter or Skype and I’ll try to answer it in the podcast. Have you ever kept a research diary? We can all learn from each other so, please, share your thoughts with my readers and me in the “comments” section below. Anyone who comments on today’s post (or any others) by Oct. 31/18 will be put in a draw for a copy of the non-fiction book Why Time Flies by Alan Burdick. Please, scroll down to the comments, directly underneath the “related posts” links, below. Note that you don’t have to join the commenting software to post. See here to learn how to post as a guest.